For a myriad of reasons, people are expected to present their employment details to the person or authority asking for it. This calls for the need of an employee verification letter which has to be issued by the employer or the organization. The letter confirms that the said person is a part of the organization and also elaborates on other details like his designation, his salary, tenure in the organization and other relevant information. You may also see Sample Letters. 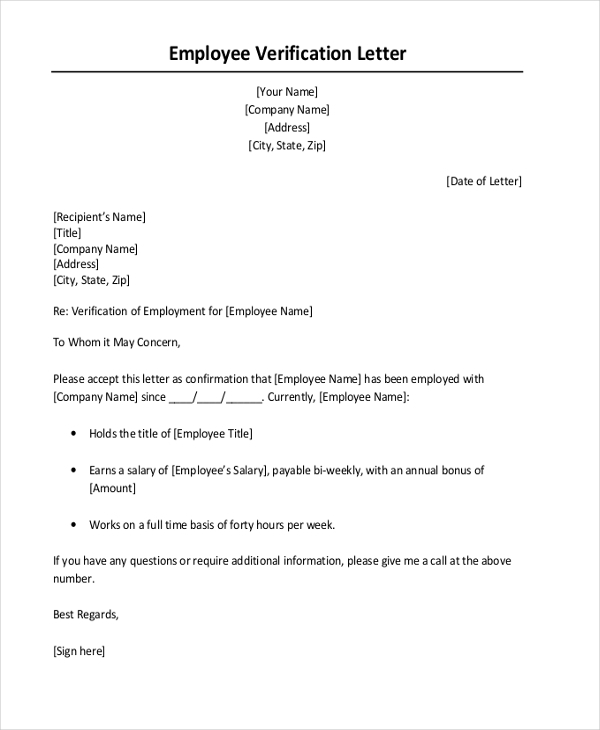 When an employer or a business organization is approached by an employee to issue an employment verification letter, he can use this document for the purpose. Following an acceptable format and with all the important segments in place, the employer just needs to add in the relevant information. 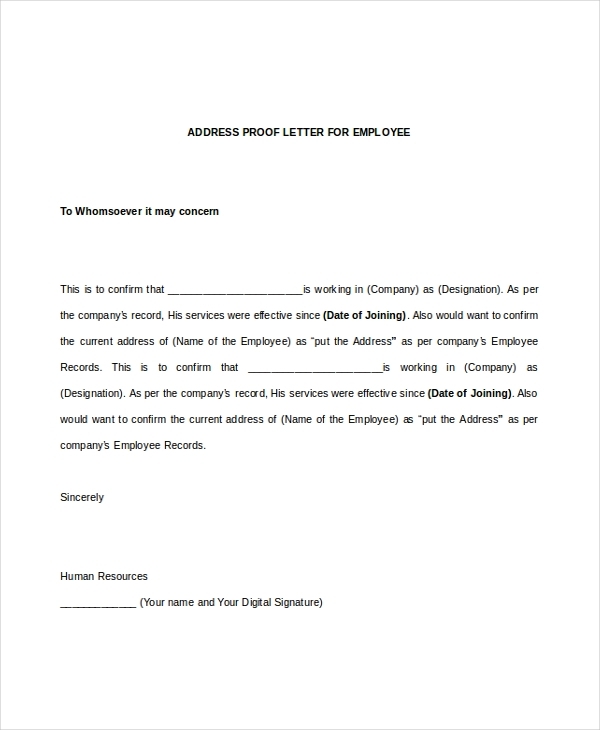 In case a person is not aware of the format to follow when writing an employee verification letter, he can use the aforesaid document for the purpose. Designed by experts, this document follows a format that adheres to the latest industry trends. You can also see Formal Letter Formats. As the name indicates, this letter comes in handy for an employer who is required to verify the salary details of one of his employees. The letter gives him an idea of how this information should be included in the document and how to frame the sentences for the letter. When a person applies to a firm for a job, he may be asked to present an employment verification letter from his former employer to confirm his employment with the previous firm. 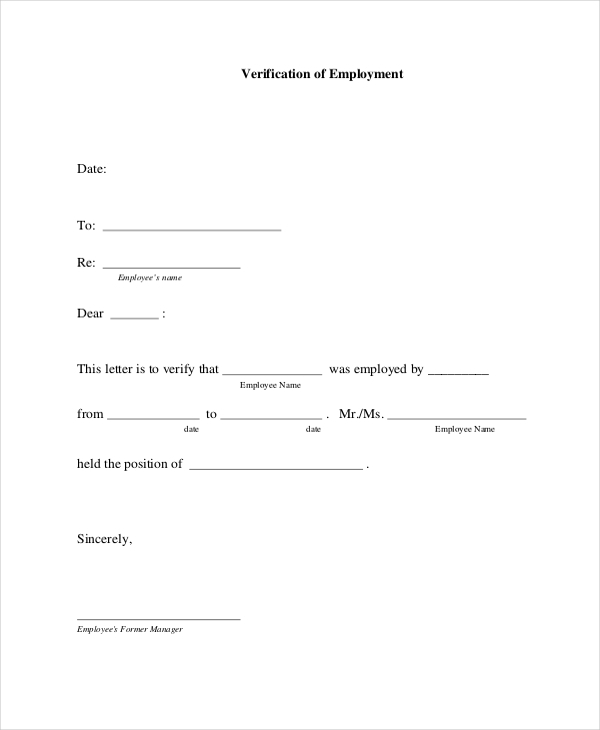 In such a scenario, the former employer can use this employment verification form for the purpose. You may also see Job Acceptance Letters. 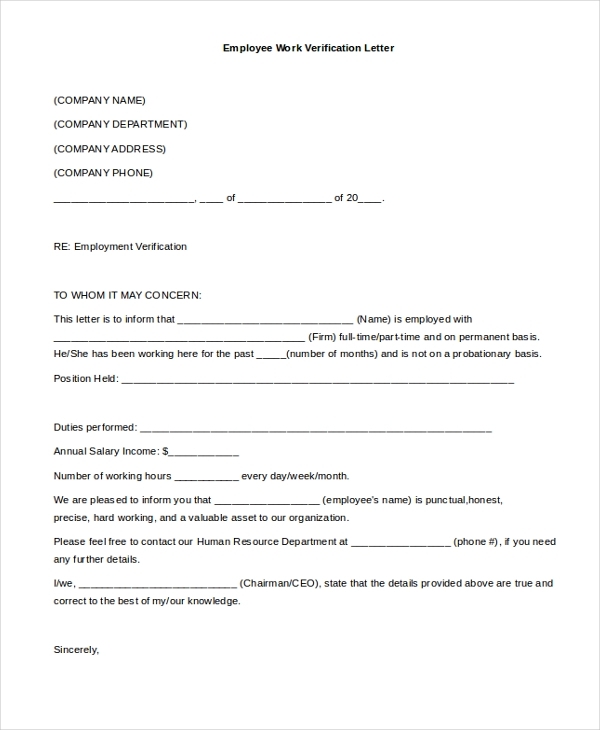 This letter can be used by any employer or organization to issue an employee work verification letter to an employee which may come in handy for him to rent a house, apply for a loan or even apply for immigration and passport. When applying for a visa, a person is required to present the concerned authority with an employment verification letter that lists all the details of his employment. In such cases, the employer can use the aforesaid form to draft a perfect letter. You may also see Job Application Cover Letters. 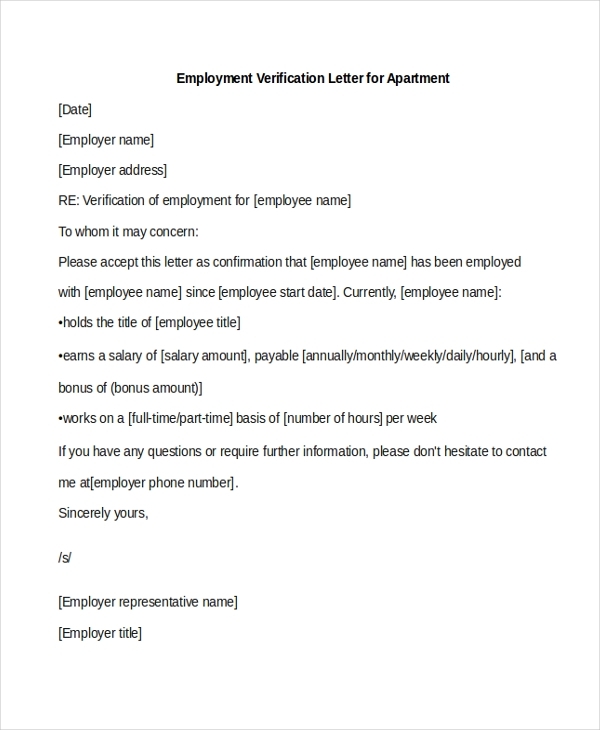 An employee may request his employer to issue him an employment verification letter that may help him to rent an apartment. In such cases, the employer can use the aforesaid letter which gives him an idea of the format to follow and the content to include in the letter. Many a times, an employee is required to provide address proof of the organization for which he might be working. In these scenarios, the aforesaid letter format can come in handy. With all the segments in place, the employee just needs to add in the details and then get the letter signed. 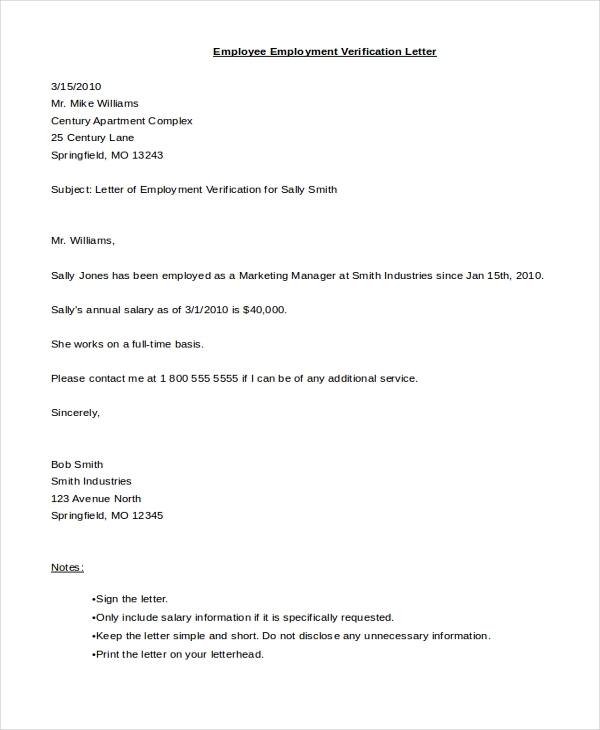 You can also see Proof of Employment Letters. 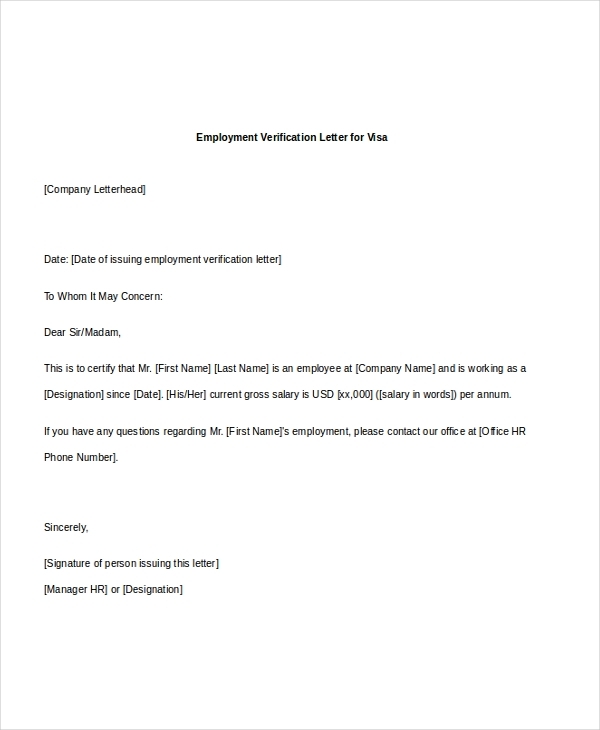 What are the Benefits of Using Employee Verification Letter? Need some help to draft an employee verification letter? Check out our wide range of these documents and choose the one that seems apt for you. Easy to download and customize, these letters help you to write a perfect letter within just a matter of a few minutes. You may also see Lease Termination Letters.